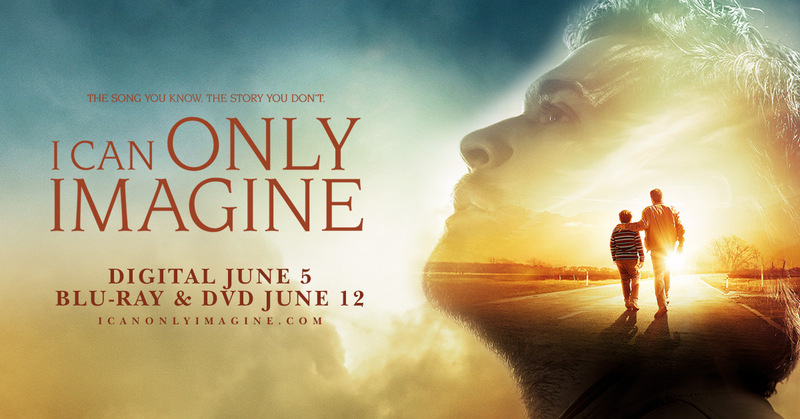 I Can Only Imagine — the faith-based hit that surprised Hollywood – is available on Blue-ray and DVD now! 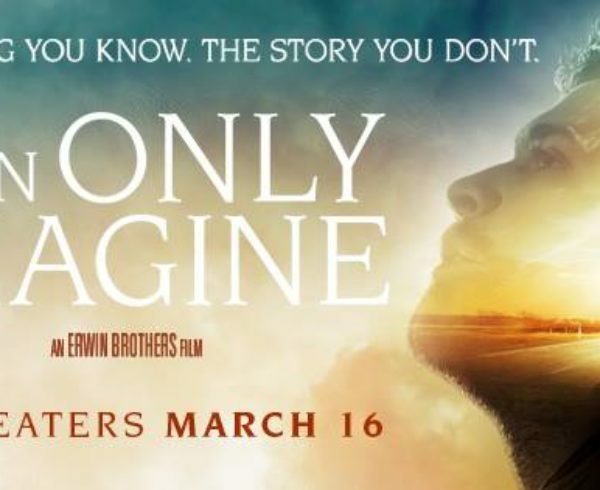 Directed by brothers Jon and Andrew Erwin (Woodlawn, Mom’s Night Out), the movie finished in the top five its first three weekends and had grossed more than $81 million as of May 8 – far beyond its $7 million budget, according to BoxOfficeMojo.com data. Among the top 10 films on opening weekend in total gross, its per-theater average ($10,503) was No. 1. 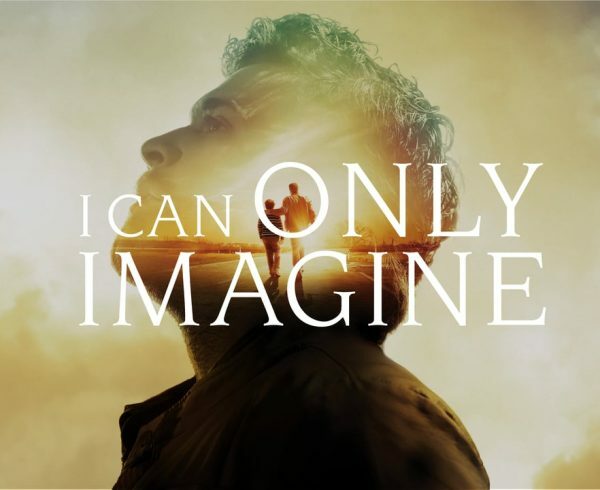 The movie tells the true story behind MercyMe’s song “I Can Only Imagine,” which was penned by lead singer Bart Millard after he saw his abusive father come to Christ late in life. It stars newcomer J. Michael Finley, Golden Globe nominee Dennis Quaid, singer Trace Adkins (The Lincoln Lawyer, Traded) and Priscilla Shirer (War Room). 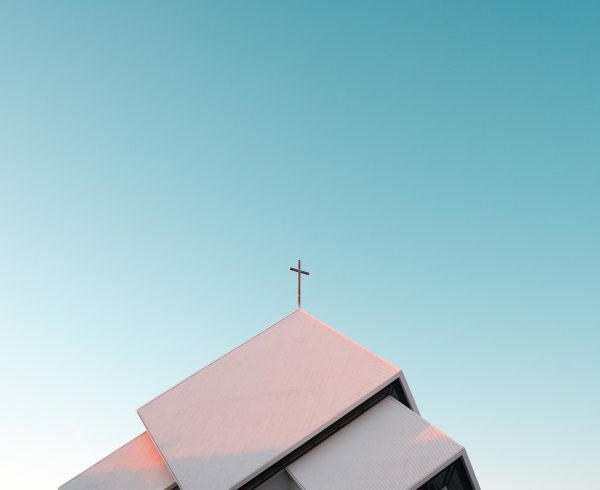 Andrew Erwin told ChristianHeadlines.com that I Can Only Imagine is powerful because Millard’s story itself is powerful. 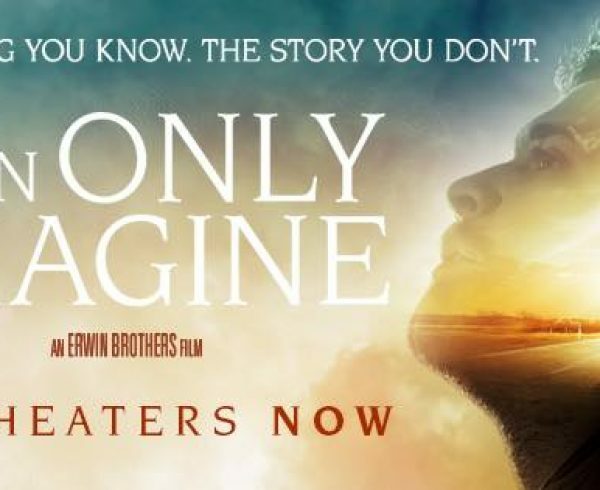 Movies, Erwin added, enable he and his brother to bring the gospel to non-Christians. 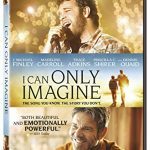 We want to share the DVD and a copy of MercyMe’s album I Can Only Imagine, The Very Best of MercyMe with our fans, so we have 7 DVD and CD packs to give away. Enter your information below for a chance to win! Good luck! *By providing your email address you will also be added to this artist’s email list & Freeccm updates. I loved the movie and would love to own the DVD to be able to share it with others! I haven’t seen the movie but I have heard nothing but great thing’s about it. I loved the movie. I saw it in the theaters, but would like to see it again and share it with family and friends, especially my youngest son who is a great singer. I’d love to share this inspirational story with him! Thanks so much! I want to see the movie so badly! I had just broken my leg when it came out and was unable to go and see it so I would love to win this DVD / CD set! Could not wait to see the movie and it did not disappoint. So touching and emotionally packed. Now I can’t wait to see Mercy Me when they come to Maine in November! But, thanks for having a contest! The movie is a must see, well done. how there is hope for the wounded. I would live to win this movie! I have wanted to see it so bad just not able to afford to go. I love the song! It really touches me every time I hear it. I loved watching this movie!! Such a powerful story about forgiveness and redemption!!! We are eager to see this movie. I haven’t seen the movie so I would love to win and I think that’s awesome that you’re giving this away God bless. I wasn’t able to see it because it wasn’t shown in my area. I traveled to an other area but they were sold out of tickets for that day. I loved the movie, watched it again when I took my 85 year old friend who had not been to a movie in 40 years she told me!!! She loved it & I even wanted to buy a copy of the CD for her as I already have a copy. We played the song “I Can Only Imagine at my Daddy’s homegoing.” Very touching song! Thanks for writing it & sharing it with the world! 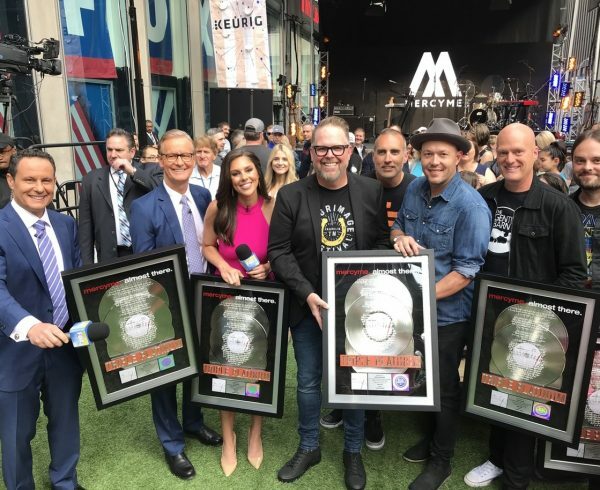 Was thinking of buying the Best of MercyMe but would love to win it! It was a great movie with a message for Christians and non-Christians, who will hopefully have a heart change. I saw the movie on release day:) It spoke to so much of my life. would love to have a DVD to share with some friends who didn’t get to see it yet. Thanks for sharing your what God blesses you with to bless us. WOW! Mercy me was the one of the greatest date nights my husband & I ever had under the stars at the Burgertstown Star Lake Theater Decades ago. It was undescribable. Years later, when my father-in-law was dying, husband and I took a rode trip with the whole Mercy Me CD. My husbands relationship was like Barts & his dads, and so was the ending. Loved the movie I just sent my daughter who all ready seen the movie & didn’t want it to end to the theater today for Fathers Day. The testimony is incredible. What a beautiful Band, movie cast etc. I saw Mercy Me play in the Nissan Pavillion in VAin 2004. When they sang “I Can Only Imagine”, I cried. I had only buried my mom a few months prior and we played that song at her funeral. I thought I had a good relationship with my dad but once my mom was gone, I realized she was the reason I did. All these years later, I think he’s finally trying to make an effort even though I was making an effort the entire time. It’s sad when the adults act like children and the children must be adults. My husband and I saw your movie and I cried! I’m praying one day my dad and I can finally have a great relationship! If not, I know that God loves me more than my dad ever could!! I would love to own this. I have not yet seen the movie. Was waiting for it to come out on video since my husband and I didnt have a chance to go to movies. What a wonderful combo pack to bless someone with.